It's about TIME!!! I read this fascinating story on NPR here. An all-natural insect repellant called nootkatone found in Alaska yellow cedar trees and citrus fruits (like grapefruit) is being developed by the CDC. It is so safe for humans, it is even an FDA-approved food additive. 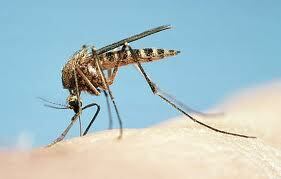 Nootkatone is not only safe for humans and the environment, it is a highly effective insect repellant. In fact, it is not only a bug repellant, but an insecticide causing death to biting insects like mosquitoes within 15 seconds. Application of 2% nootkatone will also control ticks for up to 42 days at greater than 97 percent efficacy. It is non-greasy, dries very quickly, and it has a very pleasant, citrus-y grapefruit odor to it. Sounds too good to be true... But it is true! The only downside right now is that it is not available in the market, mainly because it is expensive — $4,000 per kilogram for highly purified food-grade material, which is used in parts-per-million amounts as a flavoring agent. However, there are two companies that are currently working to make it available as insect control, hopefully in the near future! Susceptibility of four tick species, Amblyomma americanum, Dermacentor variabilis, Ixodes scapularis, and Rhipicephalus sanguineus (Acari: Ixodidae), to nootkatone from essential oil of grapefruit. J Med Entomol. 2011 Mar;48(2):322-6. Mode of action for natural products isolated from essential oils of two trees is different from available mosquito adulticides. J Med Entomol. 2010 Nov;47(6):1123-6. Ability of two natural products, nootkatone and carvacrol, to suppress Ixodes scapularis and Amblyomma americanum (Acari: Ixodidae) in a Lyme disease endemic area of New Jersey. J Econ Entomol. 2009 Dec;102(6):2316-24. Use of novel compounds for pest control: insecticidal and acaricidal activity of essential oil components from heartwood of Alaska yellow cedar. J Med Entomol. 2005 May;42(3):352-8.